Students moving into a newly renovated dormitory at the University of Kentucky signed up for a hyperwired college experience: Each one was given an iPad and required to take a series of tech-themed courses. The unusual program is called A&S Wired Residential College and is housed in a dorm of 177 freshmen, who plan to major in a variety of fields. Among the $1-million in renovations are 20 wireless access points in the basement and first floor—enough to serve 75 high-bandwidth users at the same time—11 large-screen televisions, which can be connected with multiple iPads simultaneously; and two 82-inch “interactive whiteboards.” The whiteboards will be in the dorm’s two smart classrooms, which both also have 55-inch televisions. The classrooms can do international videoconferencing, too; one class in the spring will feature interaction with a class in South Africa, says Mark Kornbluh, dean of the University of Kentucky’s College of Arts and Sciences. It’s an interesting experiment. 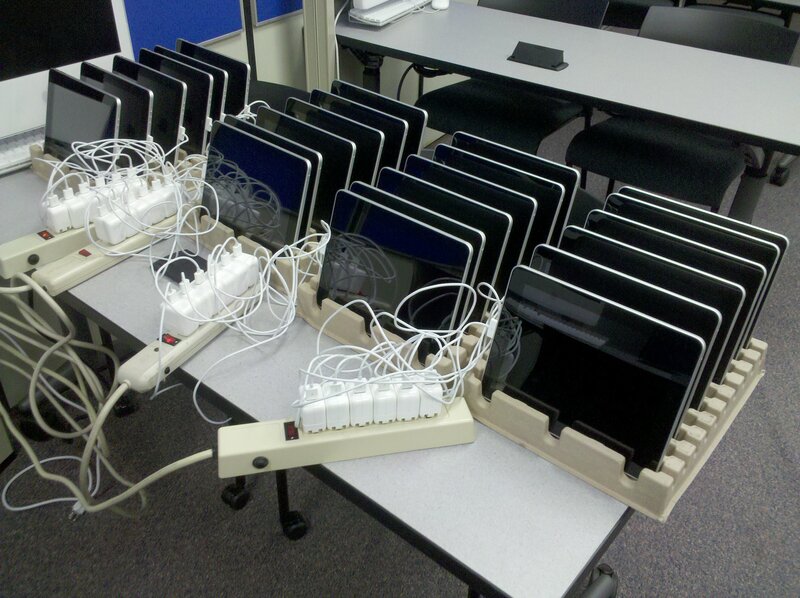 And it does look like the students knew what they were signing up to (and not just free iPads). Although it does seem that the innovation is driven by the technology rather than by educational aims. The piece doesn’t say what the gender balance is. This entry was posted in Communications, Education, HE, international, Students, teaching and learning, University, video, web and tagged campus, Chronicle, Freshers, HE, international, Kentucky, Students, teaching and learning, University, world by Paul. Bookmark the permalink.